November’s Cake of the Month is up next – a dinosaur in cake form that was so cute it made us fall a little bit in love with it. If we could have taken it home to keep as a pet then we would have! Standard Victoria sandwich cake method for the cake – I made three circular cakes. 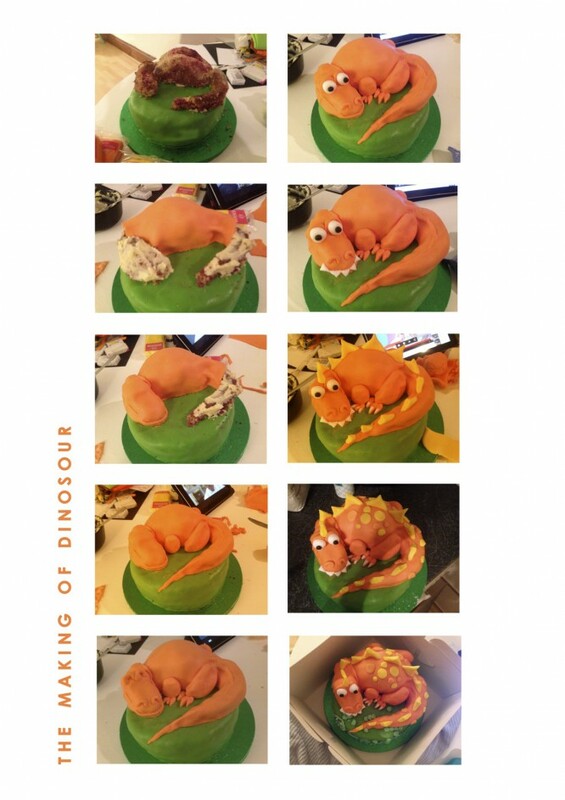 Two were used sandwiched together for the base cake which was then covered in dark green fondant and the third cake was used to form the body of the dinosaur. I made some off cuts for the tail and head and then sandwiched together the remaining halves of the circle to form his arching body. 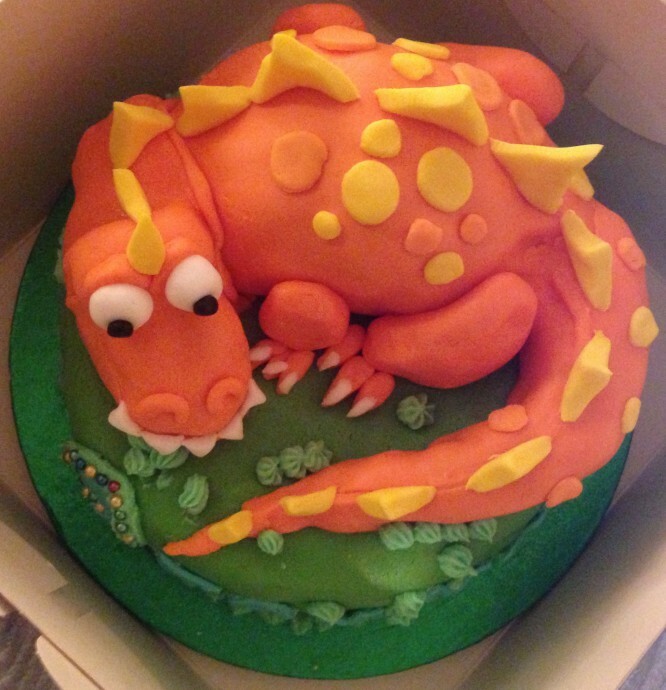 A base layer of vanilla butter cream made a smooth base to cover over with orange fondant (from my favourite shop, Party Party in Dalston) for the dinosaur’s body, and I added cut out triangles fixed with dabs of water for his spikes and yellow dots stuck on this way too. The best bit was adding his googly eyes and teeth! A sneaky flourish of green buttercream icing helped cover some cracks in the green fondant. My day job as an architect doesn’t always mean I get to be as creative as I would like, drawing on the computer all day. So baking is a way for almost instant creative gratification. FCFK Hackney seemed an obvious match. I love making cakes, especially fun ones for kids and FCFK Hackney need volunteers to make them.